Luci Baines Johnson and Ian Turpin have donated $1 million to the Lady Bird Johnson Wildflower Center of The University of Texas at Austin to develop a Family Garden that will bear their name. The Luci Baines Johnson and Ian Turpin Family Garden will be designed to foster hands-on, creative play and learning as children explore nature on 4.5 acres of native plant gardens. The Family Garden, which was designed by landscape architect W. Gary Smith, will also be a model of green landscaping as a pilot project of the Sustainable Sites Initiative™. The effort, a Wildflower Center partnership with the American Society of Landscape Architects and the United States Botanic Garden, has developed the most comprehensive national system for rating the design, construction and maintenance of sustainable landscapes. “The Wildflower Center is deeply grateful to Luci and Ian for helping us create a magical garden world for children and families as well as a showcase for sustainable landscapes,” Rieff said. The Wildflower Center has envisioned a children’s garden on its site since it unveiled its master plan by Smith in 2005. Horticulture Director Andrea DeLong-Amaya and other staffers will install native plants used with garden features. The garden’s construction will feature locally sourced stone, sustainably harvested wood and other environmentally friendly options. The Wildflower Center is a self-sustaining organized research unit of the university. The Luci Baines Johnson and Ian Turpin gift is the largest of $2.52 million received so far from individuals and private foundations to build the Family Garden. Construction is expected to cost $3.7 million, with $1.3 million more sought to maintain the Family Garden. A groundbreaking for the garden will occur in the next year as part of celebrating the centennial of Lady Bird Johnson’s birth. 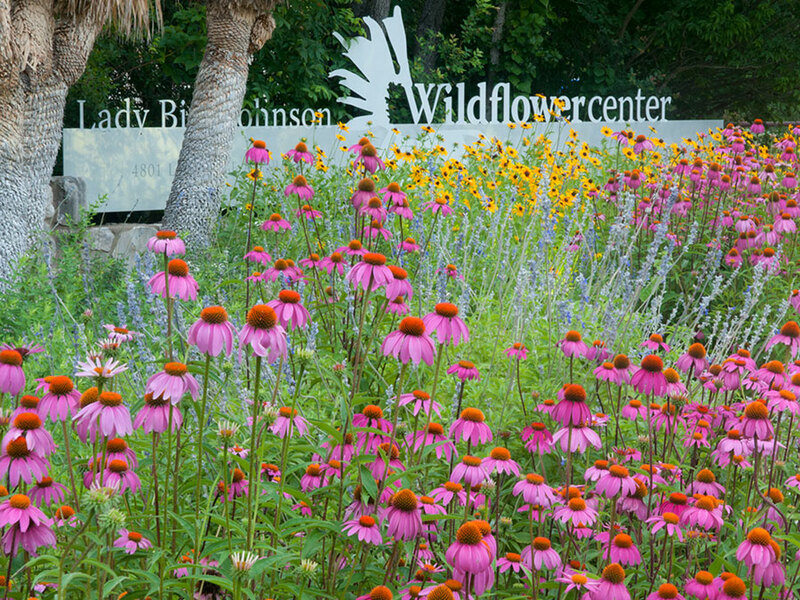 The Texas Legislature has declared 2012 Lady Bird Johnson Centennial Year, and the Lady Bird Johnson Wildflower Center also commemorates its 30th anniversary this year.